Yaakov Yehudah Raskin, 20, and Tani Rapoport, 21, had some free time this summer. They decided to spend it in prison. The two rabbinical students had a few weeks open before starting their final year of training to become Lubavitch rabbis, but instead of kicking back, they are crisscrossing Pennsylvania, visiting Jews and non-Jews who are incarcerated in 33 federal and state prisons. “We thought it was a nice way to spend our break,” said Raskin, who along with Rapoport, stopped in Pittsburgh for a few days between prison visits. 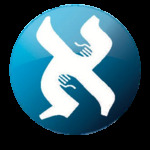 The program is organized by the Aleph Institute, a national nonprofit founded in 1981 by Rabbi Sholom D. Lipskar under the direction of the Lubavitcher Rebbe, Rabbi Menachem M. Schneerson. Its purpose is to help families in crisis, addressing the spiritual and humanitarian needs of those in the military and institutional environments. There are currently 25 pairs of students traversing the country visiting the incarcerated, each pair assigned to a different territory. Raskin and Rapoport began their Pennsylvania trek on Aug. 5, and have already visited inmates at 24 institutions, including those in Lewisburg, Loretto, Albion, Somerset and Altoona. They were scheduled to wrap up their mission on Aug. 20. At most stops, a handful of people show up to the optional meeting with the rabbinical students, about half of them Jews. In one facility, no Jews came to meet with them, but one non-Jew did. Their faith in fate keeps them motivated, even on days when they don’t seem to be reaching great numbers of people. The man was in solitary because he had been involved in a brawl that another prisoner had started. It was his first time punished in the 10 years he had been at the facility. If the man had not been in solitary, he would not have met with Raskin and Rapoport. Their edict simply is to visit with those who are incarcerated, speak some words of Torah and, maybe most importantly, to listen. “They find it interesting that two rabbinic students are using their summer to visit prisoners when they could be doing something else,” Rapoport said. At a facility in Loretto, the pair met with an elderly gentleman who had just been re-assigned to the camp facility affiliated with the institution. He was the only Jew in the camp. “You could see on his face that he was better afterwards,” Raskin said. Serving the prison population is a particularly rewarding form of outreach, according to Raskin. “You can see the fruits of your labor right away,” he said. Case in point: At a facility in Lewisburg, after speaking about the Rebbe’s love for all Jews, regardless of their circumstances, some of the men began to weep. Rapoport admitted that it is “kind of a scary thing” for a 20-year-old to walk into a prison. The visits can help the prisoners in their ultimate transition back into society, according to Rabbi Moishe Mayir Vogel, executive director of the Aleph Institute, North East Region, which is located in Squirrel Hill.